In the industry, a performer with the ability to act, sing and dance is called a ‘Triple Threat‘. We don’t advertise or promote that our sessions will always run an equal share of dance, singing and drama in each class, to afford our staff and pupils the flexibility needed to have the opportunity to participate in external performance opportunities; and even perform on a West End stage or mount a whole production such as our forthcoming show The Greatest Show On Earth. RTS delivers training in all three disciplines and we take on challenging, engaging projects that can require the pupils and creative team to ‘hot-house’ certain disciplines depending on the project. What we are careful to ensure however, is that there is an overall proportionate balance during a school year in the children’s classes. Autumn Term: The pupils began the year with evenly split dance, singing and drama classes with an extra half hour per week of singing in their group time at the start of each session preparing some of the full company numbers in early preparation for the end of year show. The Performance Academy pupils had an additional burst of drama for their wonderful masked performance of ‘Hansel & Gretel’ at the Thatcham Festival of Arts & Leisure. Winter Term: The pupils had a mixture of Dance and Drama in the first half of the term with an increase in dance in the second half of the term to prepare for their forthcoming Sadler’s Well’s performance. 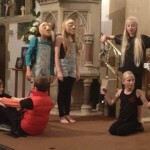 They also benefitted from an additional twelve hours of rehearsals which were given to the pupils at no extra charge. Spring Term: This term, the pupils are currently finishing the setting of their dance routines for the show, (we focus on getting the dances set first as it is better for the children’s muscle memory to get them set first), they have been rehearsing their scenes with me in drama for the whole of the term and have had extra sessions for their singing to continue learning and rehearsing their songs for the show. In the second half of this term, with the choreography complete, the singing element will increase as we perfect the musical numbers and the drama time will increase as we develop the acting aspect of the show, bringing about a perfect end of year balance as we start to run the show. 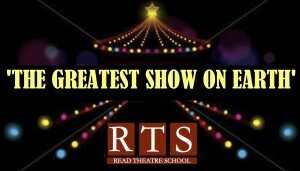 By the end of this year, RTS pupils will have performed publicly in the Thatcham Festival of Arts & Leisure, in the KATS Pantomime, on the world famous Sadler’s Wells stage and in a full production at Arlington Arts Centre especially written for them. We schedule and structure the work that we do in a way that we feel best supports the betterment of our pupils and their experience with us, ensuring that they benefit greatly from the variety of training and performance experiences we can offer. Myself and the team of professionals we employ know how best to prepare the pupils for the wonderful performance experiences they experience at RTS whilst also making sure there is an overall balance in the training they receive across all three disciplines.